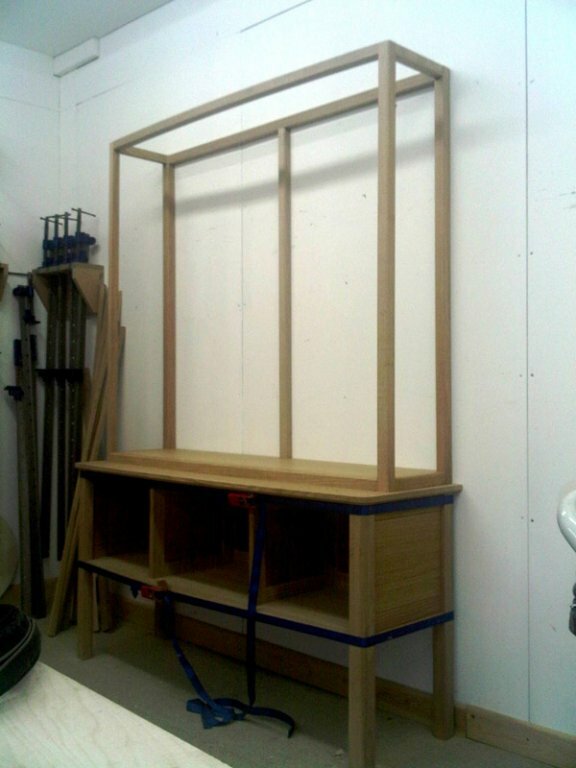 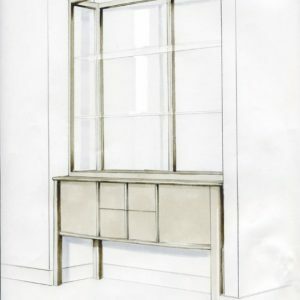 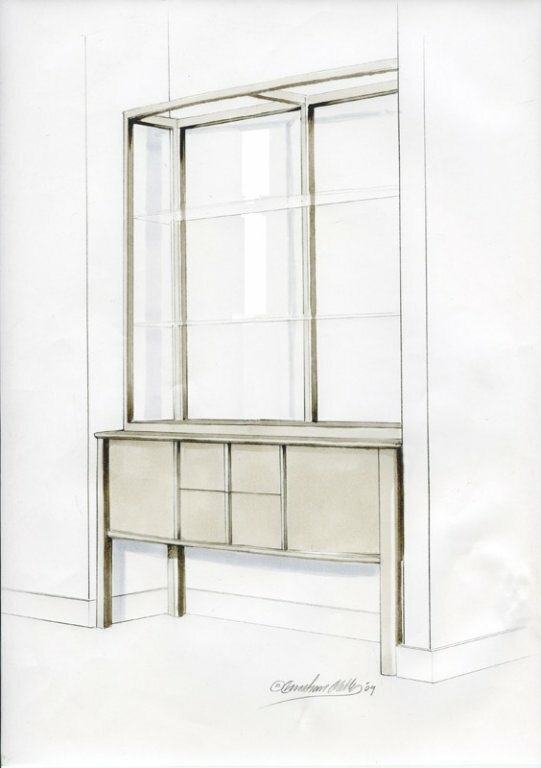 Description: I designed this piece to complement the client’s existing furniture and to have its own quiet character. 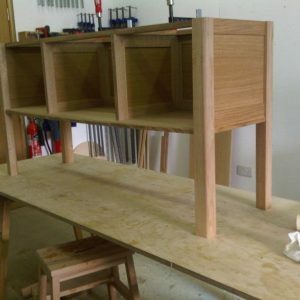 The lower section consists of two cupboards and two central drawers. 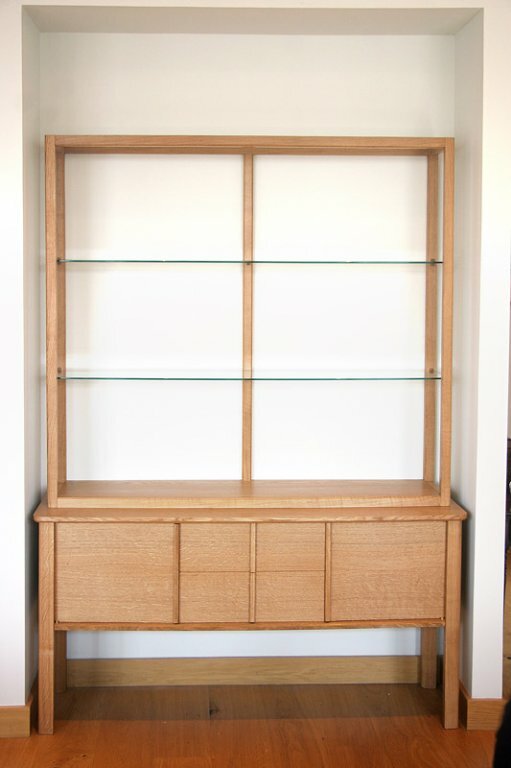 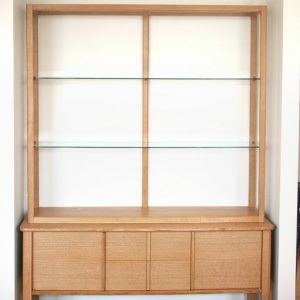 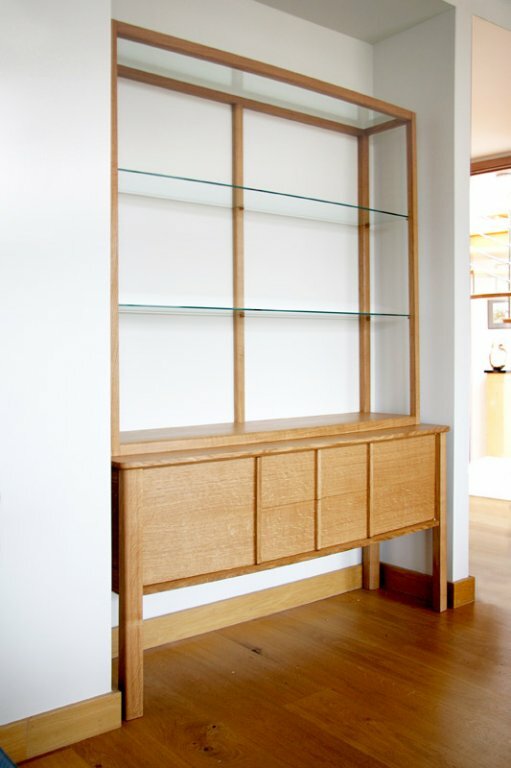 The upper section is a light open display cabinet with glass shelves. 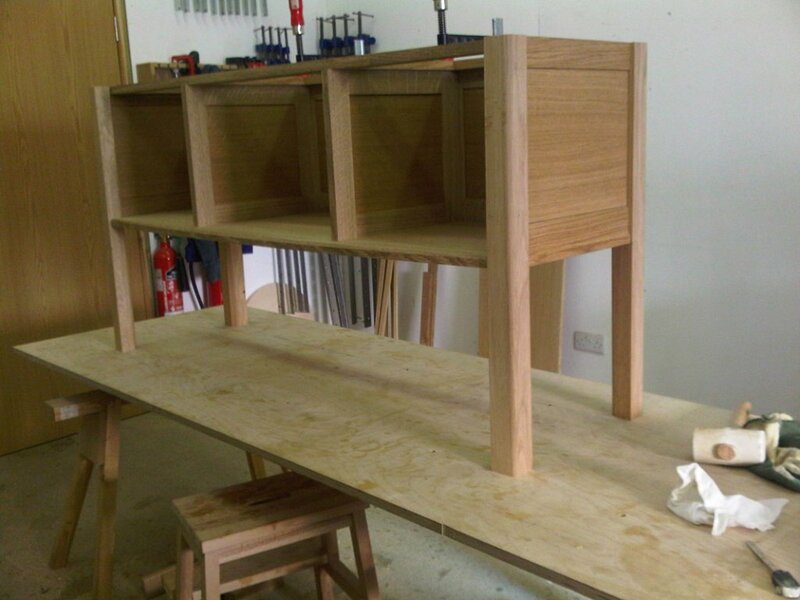 The front of the legs and the front uprights of the top section are all angled back slightly by 1°. 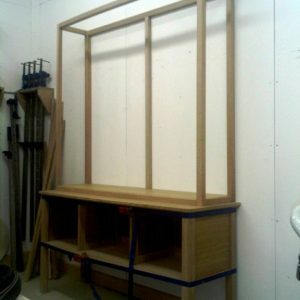 This helps the unit to look like it is settled back into the alcove and also allows for the shelves to be smaller at the top. 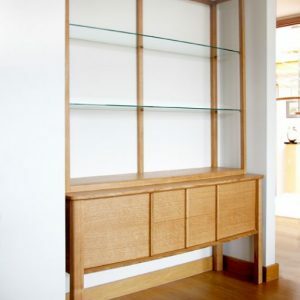 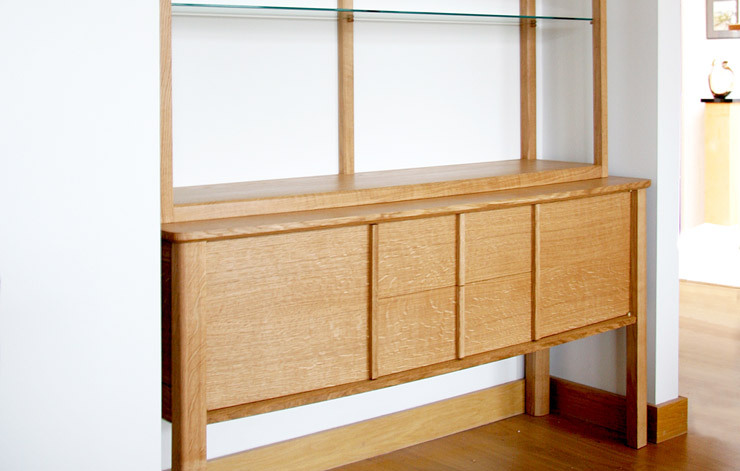 The front edges of both sections and the glass shelves are gently curved, softening the overall feel of the piece.